Goldman Sachs expects the benchmark Nifty 50 index to touch 12,500 in the next 12 months. The target implies nearly 10 per cent upside from the current levels. 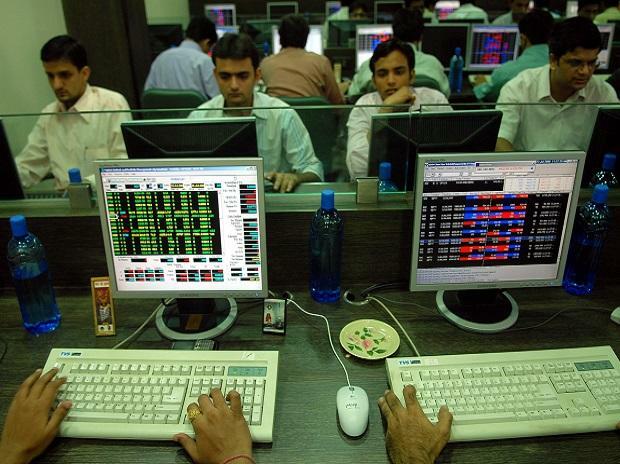 Already, India’s benchmark indices have rallied 8 per cent from their 2019 lows touched on February 19. The US-based brokerage has upgraded the Indian market from ‘marketweight’ to ‘overweight (OW)’. Goldman Sachs had downgraded the Indian markets in September citing rich valuations amid macro, earnings and political risks. “We raise it back to OW given sharp underperformance in January and February, better December quarter earnings and a pick-up in FII positioning from lows amid rising market expectations of a potentially stable govt,” Goldman Sachs said in a note authored by analysts Sunil Koul and Timothy Moe. Foreign institutional investors (FIIs) have pumped in $5.5 billion into Indian markets in the past one month, triggering a sharp rebound in the market. 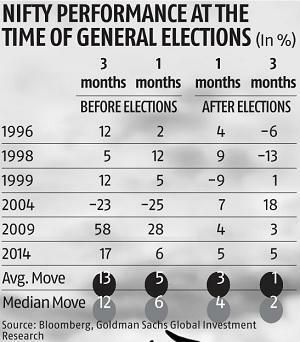 “The Nifty has rallied in five out of the past six general elections since 1996 with average returns of 13 per cent and five per cent returns in 3-month and 1-month (respectively) before the election results,” it observes. The brokerage has arrived at the target of 12,500 by assigning a price-to-earnings (P/E) multiple of 18 times. ALSO READ: Tech view: Will the Nifty Auto index move higher in the coming days? “Current domestic macro and market set-up looks better on most metrics compared to 2014 rally but current starting point for valuations is higher. At 18x P/E, current P/E looks ‘fair’ relative to the macro backdrop, but we see potential for valuation overshoot in the near term. Combining our implied cost of equity models, relative P/E premium and earnings/bond yield gap analysis, we estimate an average 10 per cent P/E ‘overshoot’ if valuation metrics go to the extremes during 2014/15,” it says. In sectoral terms, Goldman Sachs favor banks and domestic cyclicals over exporters and defensives. “We recommend short-dated Nifty calls, value cyclicals and oversold quality mid-caps to participate in the current rally,” it says.